In addition to providing students with exceptional classroom instruction, we also offer a wide range of curricular and non-curricular opportunities such as ESL services, after school tutoring, music lessons, Lower School choir, weekly chapel services, and community giving projects. Our goal is to provide our students with a transformative educational experience that will mold and prepare them to be global citizens and leaders. There is no better place for your child to develop a solid foundation for personal and academic success than in the Lower School division of St. John’s School! 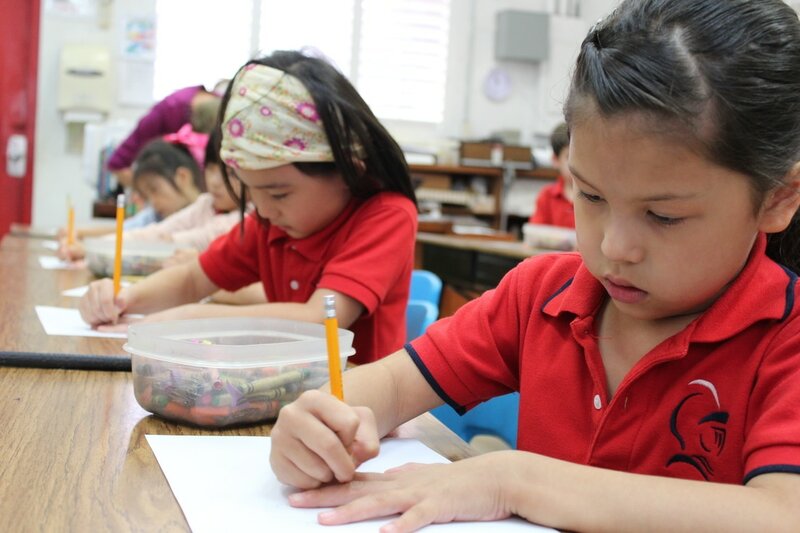 The Lower School Primary Program provides a dynamic educational experience for students in kindergarten through second grade. We provide an impressively low student-teacher ratio to ensure that students are given the time and attention they need to be successful learners. It also allows students to connect more closely with their teachers and peers. Our highly qualified faculty utilizes researched-based methods and strategies to differentiate instruction in order to meet individualized learning goals. Throughout the curriculum, higher level thinking skills are emphasized by providing students with many opportunities to evaluate, analyze, create, understand, and apply. From reading and math to social studies and science, technology is thoughtfully integrated into the curriculum to enhance and broaden student learning. Classroom instruction is complemented by daily participation in various special subject areas. These specialized classes include music, dance, art, physical education, computer, and religion.